On January 17, 2018, masked arsonists torched the Ingushetia office of Memorial, Russia's leading human rights organization. 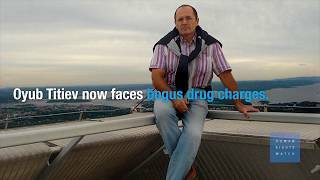 The attack came days after authorities in Chechnya arbitrarily arrested Oyub Titiev, head of the local office of Memorial on bogus drug possession charges. Authorities should immediately free Titiev, drop the charges against him, and stop hindering the work of human rights advocates in Chechnya.